Zermatt, at the heart of lovely Switzerland, lies at the foot of the Matterhorn at 1,620 meters altitude. Here you will find Europe's highest located skiing area at about 3,900 meters. Hence, Zermatt offers summer skiing and is also a very good area for excellent snow coverage. Zermatt is part of Matterhorn Ski Paradise with the four areas Rothorn , Gornergrat , Schwarzsee and Cervinia . The area is covered by over 70 lifts and 115 pistes, including Cervinia which is very nearby and located in Italy, but part of the same ski lift system. The area is top-modern and state of the art. During the summer there is a popular area for summer skiing with about 20 ski pistes, which turns Zermatt into the biggest place in the world for off-season skiing. Zermatt is open 365 days a year. You ski on top of a glacier to stick to the ski slopes. Zermatt does not allow car traffic, only electronically powered vehicles and horse sleighs. The village is incredibly charming and cozy. However, this is a very popular ski resort and you can notice it all over. You can find basically all you want and need such as Mc Donald’s, a big array of good restaurants and after-ski hangout places such as for instance Papperla Pub and Hotel Post. This is paradise for the active visitor. Skiing,snowboarding, ice climbing and rock climbing, hiking, helicopter skiing and paragliding. Normally you stand good chances of sunshine and the food is tasty and interesting. You are bound to have a good vacation! Fly to Zurich or Geneva and continue by train or rental car. From Zurich you should expect around 3,5 hours by car or about 5 hours by train. From Geneva, expect around 3 hours by car or 3,5 by train. 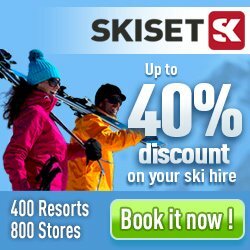 We offer pre-booking of ski equipment in Zermatt in cooperation with Skiset. When booking online you can save up to 50% compared with booking upon arrival. Here you will find in total 789 hotel, apartments and chalets/houses in Zermatt.